aluated the economic crisis experienced in South Cyprus on “Kıbrıs’ta Bugün” TV programme on Kıbrıs TV. 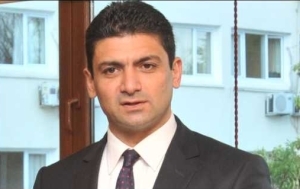 Stating that the economic growth of South Cyprus is not possible because of the crisis in the banks and the conditions of Euro region, Atun said that the only way to overcome the economic crisis in South Cyprus is either by exiting from the Euro Region or declining in expenses without growing the level of income with major haircuts. An attack in South Cyprus was made on a column erected following the visit of the Chancellor of Germany, Angela Merkel. 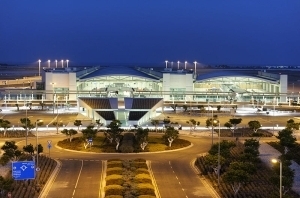 under the headlines “An attack on Merkel at Larnaca Airport… They tried to break down the column of the President of Germany” which was erected following the visit of Merkel to the “State Leaders Park”, this column was created by the initiatives of the Hermes Airport Company at Larnaca Airport. According to the news, an attempt was made to break down the column with hammers, but very little harm was done. Anastasiadis’s son-in-law Andis Lutsios’, who is a businessman and transferred his company’s 10 million Euros abroad two days before the decision of the deposit haircut, which has created a new political conflict. Anastasiadis stated that the claims regarding his relatives are intended to exempt those who caused the bankruptcy of a country without investigating and referring to the former President Christofias, Anastasisadis added that all of the responsible people will be investigated.